DeVry University has agreed that they misled the students with fake ads indicating higher employment rates, high paying jobs and income level after graduation. Federal Trade Commission’s settlement to DeVry University and its parent company was $100 million. $49.4 million settlement will provide refunds for eligible students of DeVry University loan forgiveness completely and partially. According to the FTC, the advertisements on TV and radio misled students about they would find jobs quickly in their study field. The Federal Trade Commission’s settlement makes sure it will prevent all possible future misleadings of DeVry University. In our article, you will learn about DeVry University loan forgiveness and closed school student loan discharges, as well as the application process and your eligibility to the refunds. Let’s now learn about your options to get a DeVry University loan forgiveness for your student loan debts. DeVry University was founded in 1931 in the United States and is one of the for-profit universities. The official name has become DeVry University in 2002. After student loans have become a huge issue among the borrowers, DeVry University has involved in many lawsuits, investigations, and settlements. On July 10th, 2017, the FTC announced that DeVry University would provide former students with refunds. The primary cause of lawsuits and settlements are shown as DeVry University was misleading the students about the employment rates, finding high-salary jobs on their study field after graduation. Many students claimed a lawsuit against DeVry University, regarding that it defrauded the students to enroll at the university. The investigations and settlements against DeVry University and its parent company Adtalem Global Education, Inc based on the fake advertisements. These counterfeit ads on TV and radios forced students to enroll at the university. As a result, they will get a higher income and the desired job in their field afterward. Investigations show that DeVry University counted the graduates as being employed in their study filed, who work in an unrelated field. The issue with the incomes was similar, as the income rates did not include the experience and age factors on the respective field. After the FTC’s settlement, DeVry University stopped to misrepresent itself to the students. The total amount of settlement was $100 million for DeVry University and its parent company Adtalem Global Education, Inc. Let’s now focus on the reasons and the major causes the DeVry University agreed to get the settlement of the FTC. Why does DeVry University agree to $100 Million Settlement? The complaints addressed to the Federal Trade Commission show that ads DeVry running on TV, radio and online were false. All of these facts misleading the respective students about the job replacement and income rates. The false advertising is illegal activity. This means DeVry University was not able to introduce any evidence to prove the opposite of these claims. According to the Education Department’s investigations, DeVry was not able to provide any proof concerning the issues of students finding jobs, getting higher incomes a year after graduation. The great news is that if you are a former DeVry University student with a vast amount of student loans, you may be eligible to eliminate your debts partially or entirely. In the next section of our article, you will learn about your eligibility for the DeVry University student loan forgiveness. Alternatively, you may claim a Borrower Defense to Repayment Discharge to remove your student loan debt wholly. After the FTC’s settlement, DeVry University offers approximately $300 refund for each student who is eligible for this student loan forgiveness.  Although $300 loan forgiveness is covering your student loans partially, you have another opportunity to get rid of your student loans entirely. You may claim Borrower Defense Claim Against Repayment Discharge. There are specific requirements to be eligible this student loan forgiveness, and we will address it later in our article. We will investigate the differences between these two programs and hopefully will help you to get DeVry University student loan forgiveness. Are you eligible for DeVry University refund? Honestly, this loan forgiveness is excellent in a way that students do not need to make lots of effort. Nevertheless, if you have got a massive amount of student loans to DeVry University, we have a recommendation for you. Our recommendation is to apply Borrower Defense to repayment Discharge. To get DeVry University student loan forgiveness via Borrower Defense is challenging as you have to make a strong claim against the university. To claim Borrower Defense against DeVry University requires strong proofs. So you have to convince that the university misled you about the study program and finding a job in your field. The great side of getting student loan forgiveness through BDR is that you have the opportunity to get the amount you paid previously for your student loans. If you decide on Borrower Defense claim against DeVry, you need to understand that this is a legal process and you have to be precise in your application. In your Borrower Defense claim, you may use additional documents besides the online borrower defense application form, to support your claim. These documents may be your transcript of records or fake advertisements that the DeVry University announced online or on TV. If you get DeVry University student loan forgiveness via Borrower Defense claim, the Department of Education will inform you about your application status. Many universities have made defense claims, among them, there are DeVry University and its parent company, Adtalem Global Education, Inc. If you are a former DeVry University student, you may be eligible for a refund for your student loan debts. Regardless of the completion of your study programs, meaning whether you have completed your degree or not. You have the chance to get a DeVry University student loan forgiveness. We have given you the alternatives you have in this case. You may get a refund from the FTC’s settlement or may claim a Borrower Defense against DeVry University. If you want to claim a Borrower Defense, the good news is DeVry University agreed to release the transcript of records, diplomas and any academic documentation of students. Even if you could not pay your student loan debts. After you learn about your eligibility and the process, you may now get a refund for your DeVry University student loans.